Thrills has added another Play’n Go slot game, Leprechaun goes Egypt. This game combines two very popular slot themes, Irish and Egypt. It seems very strange and it is, but it does make it fun. 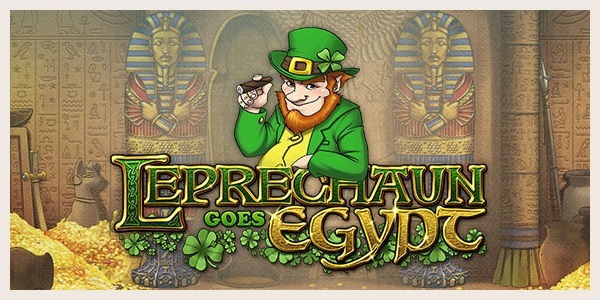 Leprechaun goes Egypt comes with 20 paylines, a wild symbol that doubles any win, a free spins feature and a bonus game. The free spins give you the option to choose between more spins and a smaller multiplier, or the other way around. The bonus game lets you pick doors for cash prizes. Leprechaun goes Egypt was already available at some other casinos. Now Thrills offers more than 15 different Play’n Go slots. I like Play’n Go. They have nice graphics and fun bonus games, although not the most innovating. But sometimes just simple free spins is something I need with all the crazy bonuses these days. I added a gameplay video below. They recently also added Chinese New Year. One of my favorite slots at the moment. Thrills is a great online casino that offers NetEnt, Microgaming and Play’n Go games. They have a solid sign up bonus and regular reload bonuses. Also winnings are paid out in only a couple of hours.